Honestly, there's nothing better than putting on an outfit that makes you feel like you're really going to conquer that day. And this outfit did it for me. 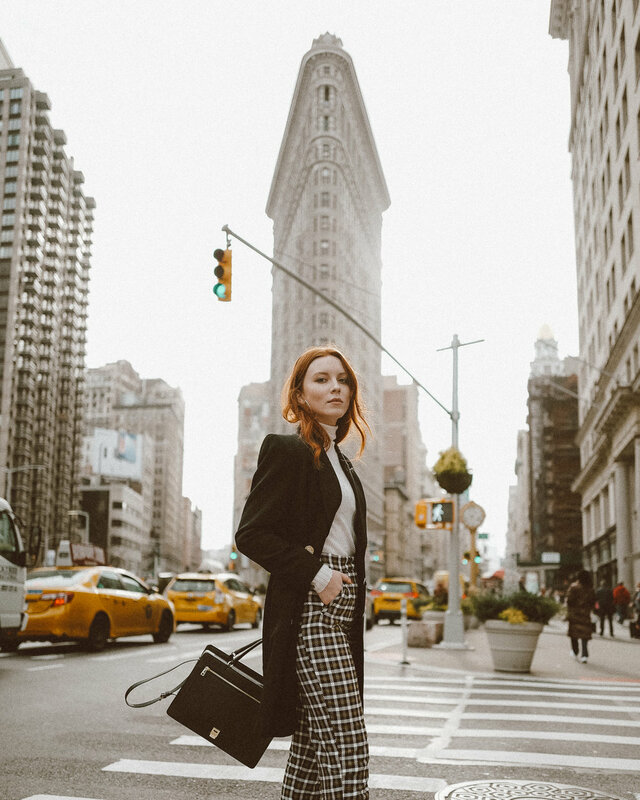 I think it was the combination of the perfect vintage blazer (found at The General Store in Brooklyn), cropped pants, and a killer pair of heels that had me walking with a little more confidence that day. What pieces make you feel that way? And if anyone follows Joe on Twitter, I'm pretty sure this day was close to when he posted a screenshot of me telling him I was "workin it walking down the street listening to Post". NYC will do that to a person! !